Naoum Antoun Mokarzel (Freike, 1864-Paris, 1932) was a Lebanese political activist, influential intellectual and publisher, who immigrated to the United States where he established ‘Al-Hoda’ (The Guidance, 1898-1971), the largest Arabic daily in North America. 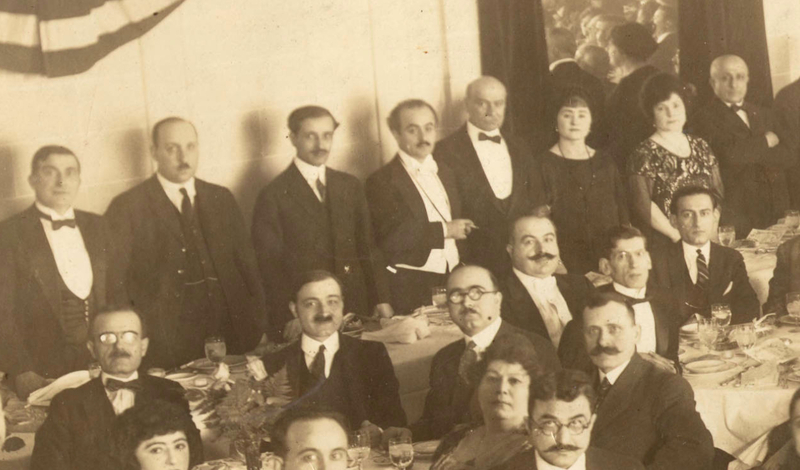 “In the spring of 1923, when ‘AI-Hoda’ entered its twenty-fifth year, the Lebanese community in New York decided to sponsor a silver banquet in honor of its founder, Naoum Mokarzel. The impetus for the banquet came from leaders in the community, particularly it's business and literary figures. In their preparations, they cited the 25-year struggle waged by the publisher of ‘A1-Hoda’ for the independence of Lebanon and his services to all immigrants. A committee was formed and a group of notables invited. 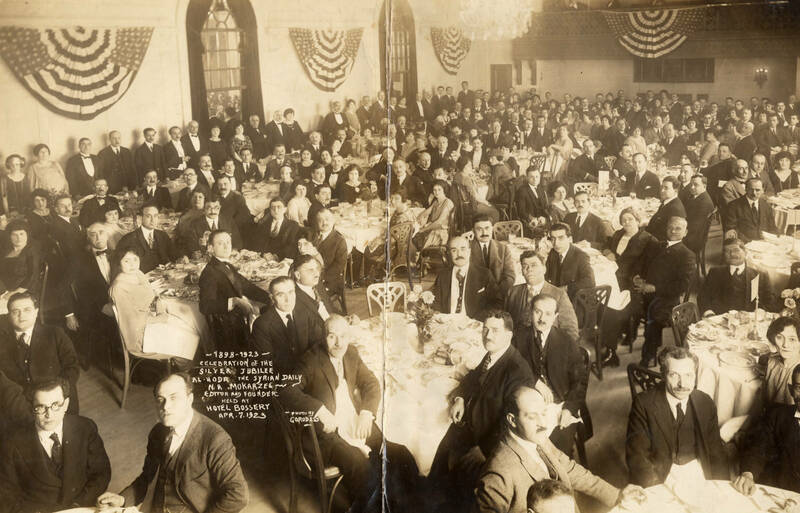 The party was held on April 7, 1923, at Hotel Bossert in Brooklyn, with 300 persons attending. Naoum Mokarzel used his newspaper and publishing house to circulate Maronitism and Lebanese nationalism. His involvement in a number of sectarian brawls and legal disputes particularly with the publishers of rival Arabic New York-based newspapers, and his unwavering stances and criticism of the Syro-Lebanese diaspora community, which often engendered controversy and politico-sectarian division, led to his nickname ‘the Lebanese Tiger’ (al-Nimr al-Lubnani). The author would like to dedicate this article to Suha, Mikhail Naimy’s great-niece. 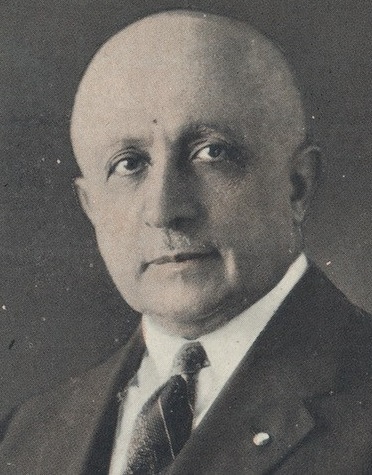 Salloum Antoun Mokarzel (1881-1952) was the younger brother of Naoum and the successive editor-in-chief of ‘Al-Hoda.’ After his death, the daily came under his daughter Mary’s management. Salloum founded in New York City ‘The Syrian World’ (1926-1932), the first English-language magazine in the USA which was established by a Syrian immigrant.